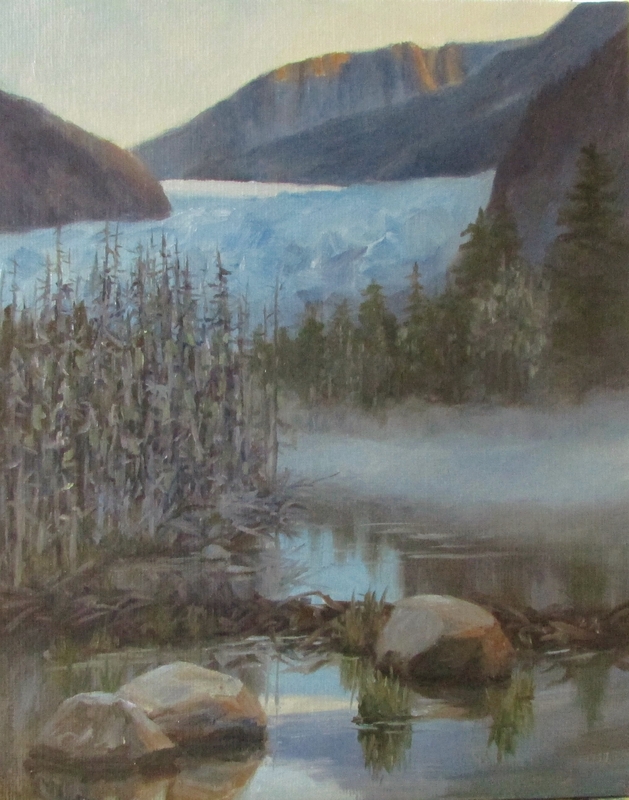 So recently I had the privilege to join the local Artist Gallery here in Juneau,AK. And I have lots of these little minis. So I’ve decided I’d better keep on painting them. 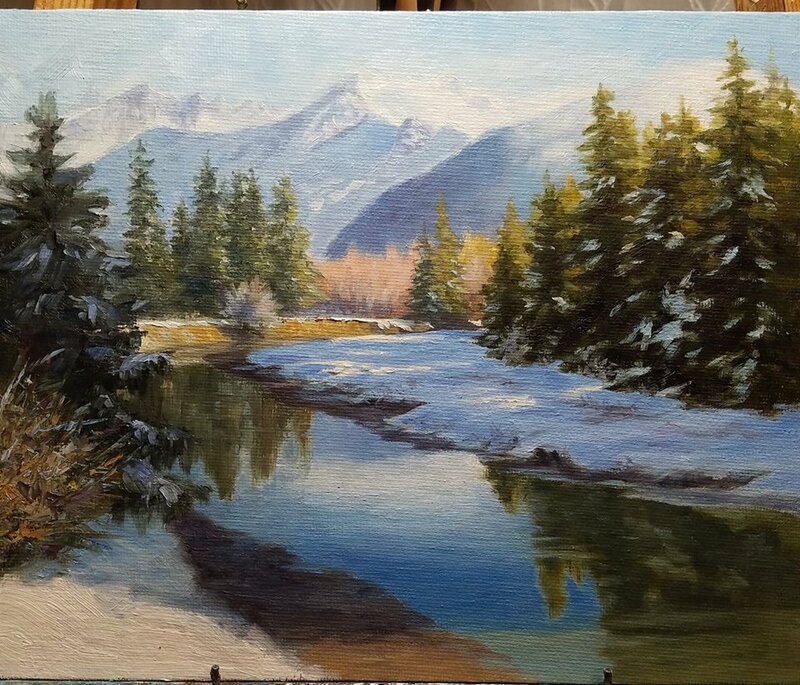 There is no shortage of great, inspirational scenery here to paint. 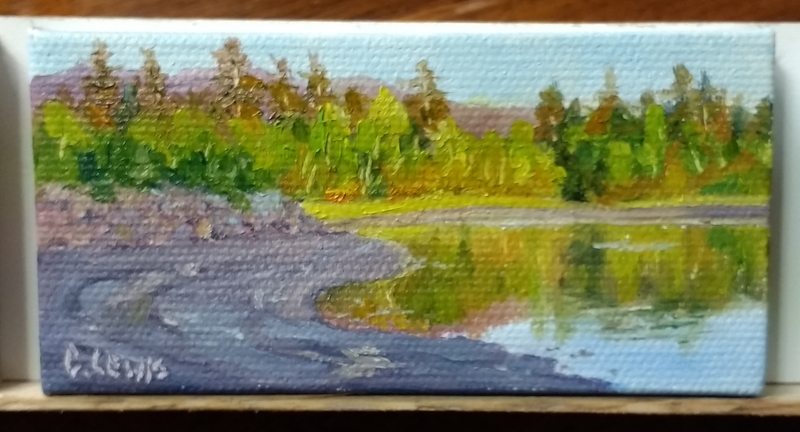 I almost never go out without my camera to keep lots of great photos on hand to choose from for painting. 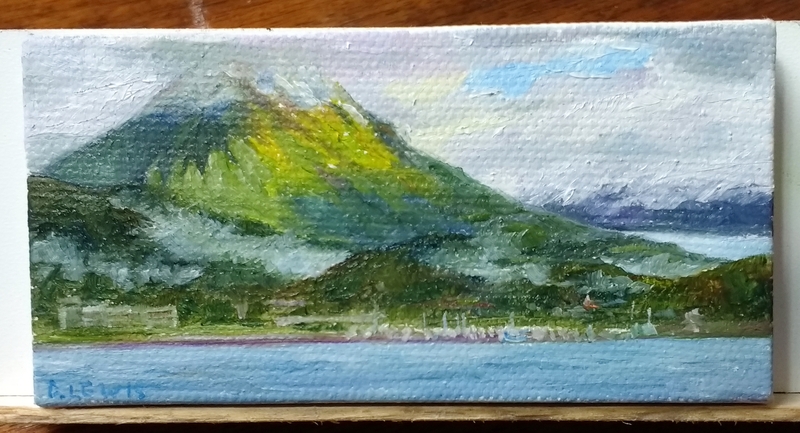 So the next several posts will be of more minis of local Juneau scenes. 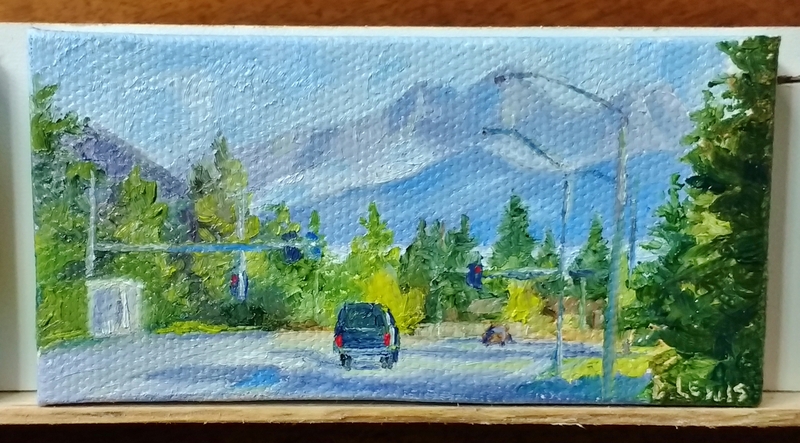 More of my series of Juneau, AK in miniature. I decided these photograph better when I put them in groups of 4 and do not have to get so close to them. 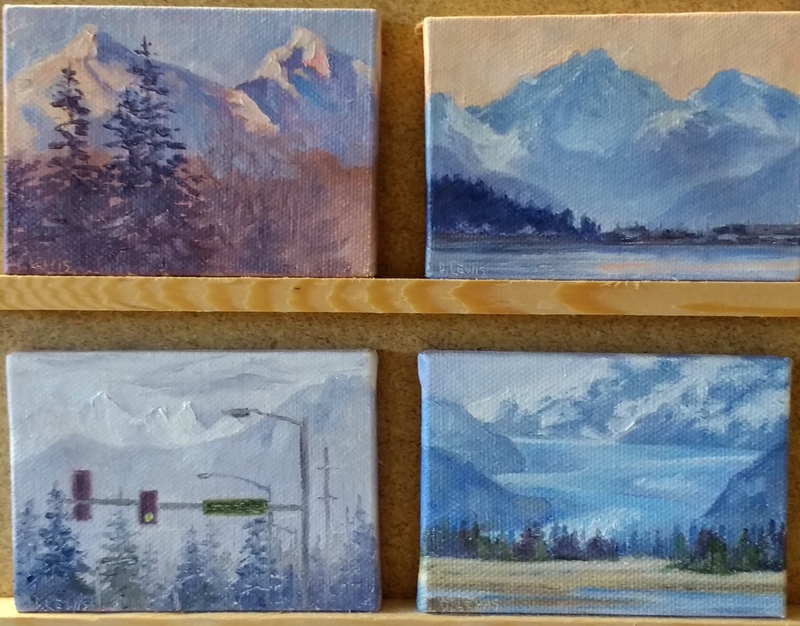 Each one of these is just an every day scene in Juneau. It is a small community and the mountains are in your face no matter where you go. It is such a gorgeous place! And I really love the low winter light. It is wonderful for filming or painting. 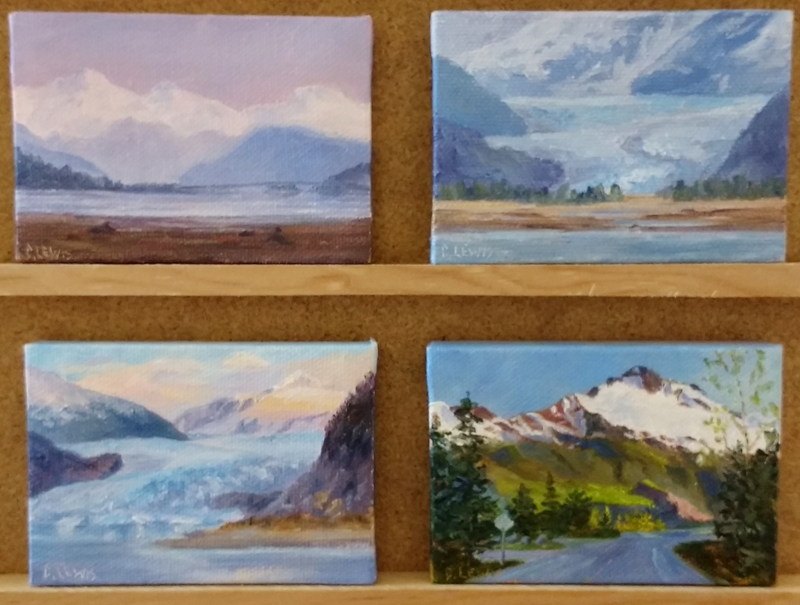 These are all the same mountains that surround the Mendenhall glacier, but each from a different part of town. It is almost like you cannot get away from it. These views are everywhere! On this foggy morning, I was just struck by the beauty of the layers and the lifting fog. Then when I got closer, to see these beautiful colors just beginning to peak through the fog…what a treat! It is a beautiful place for sure. 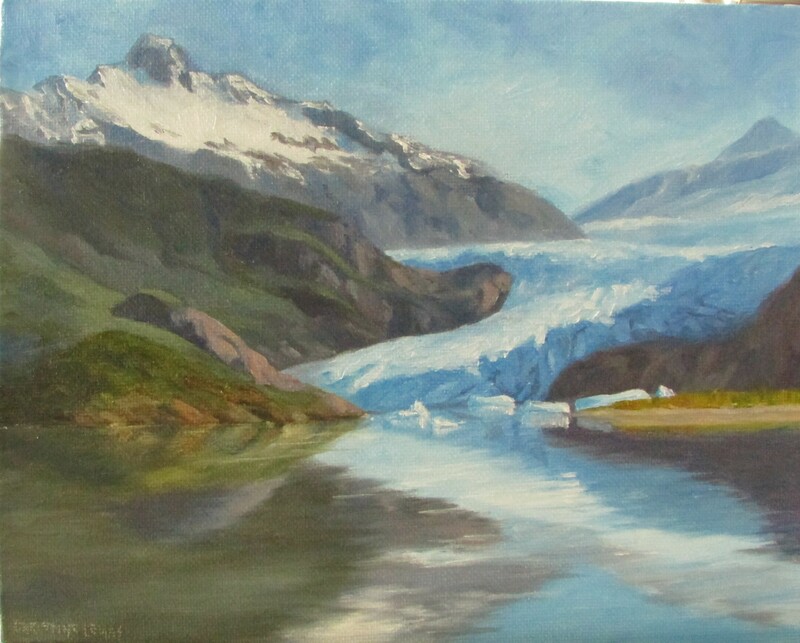 This beautiful place is Mendenhall Glacier in Juneau, AK. I am fortunate to live just within a few miles. My husband and I love to take morning walks here and we were blesses on this particular morning with this spectacular view. I really love how the distant peak is the only area receiving the warmth of the morning sun. This type of contrast of sunlight and shadow is what really inspires me. 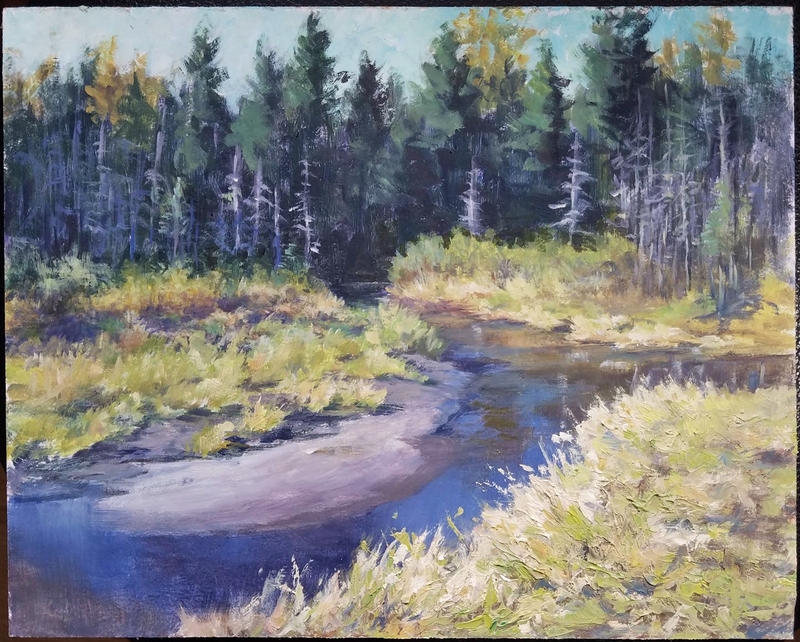 It is a challenge to capture that light.